Jul 31 · By Mitchelle Olumide Makanjuola · Share! PHOENIX - A lot can happen in the line of duty for officers. In some cases, their encounters can turn fatal. That's why Arizona representative Reginald Bolding Jr. is introducing two bills. House Bill 2511 calls for all officers at the state and local level to wear body cameras. And House Bill 2512, mandates external reviews in deadly officer-involved shootings. "Often times, it's one person's word against the others," said Bolding Jr. "What body cameras allow us to do is build that trust, accountability and transparency, providing another viewpoint, another vantage point." Jun 25 · By Mitchelle Olumide Makanjuola · Share! A Democratic state lawmaker and some activists called Wednesday for the removal of a memorial along a stretch of rural Arizona highway bearing the name of the first and only president of the Confederate States of America. Rep. Reginald Bolding, D-Laveen, called for the removal of the memorial to Jefferson Davis on U.S. 60 southeast of Apache Junction as states across the South have debated removing the Confederate flag from state capitols in response to the June 17 massacre at a historic Black church in Charleston, S.C., which appeared to be racially motivated. Jun 24 · By Mitchelle Olumide Makanjuola · Share! On June 24, Arizona State Representative Reginald Bolding announced his intention to rename a stretch of highway currently dedicated to the lone Confederate president, Jefferson Davis. The announcement follows the tragic South Carolina church shooting by Dylann Storm Roof, and a rise in national disdain over symbols of the confederacy including South Carolina Governor Nikki Haley’s call to remove the confederate flag from the capitol grounds. May 21 · By Mitchelle Olumide Makanjuola · Share! 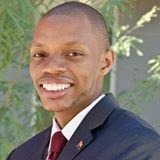 Rep. Reginald Bolding, D-Phoenix (District 27), is urging police departments across the state to use a new online body-worn camera toolkit recently published by Arizona State University professors. Mar 15 · By Mitchelle Olumide Makanjuola · Share! PHOENIX — Gov. Doug Ducey has until Monday to decide whether to sign or veto a bill requiring state agencies to keep confidential for 60 days the identities of law enforcement officers involved in deadly or serious shootings. Mar 10 · By Mitchelle Olumide Makanjuola · Share! As a bill to ban Common Core standards in Arizona classrooms keeps advancing, the future of education in Arizona remains unclear. Arizona Rep. Paul Boyer, R-District 20, doesn't mince words when explaining why he doesn't like Common Core. "My concern as a teacher is not having curricular freedom moving forward, that everything will have to be aligned to the Common Core standards which are really federal standards," Boyer said. Mar 05 · By Mitchelle Olumide Makanjuola · Share! The Arizona House passed a bill Wednesday, allowing payday lenders to offer a new product with more than 200 percent interest, despite voters barring them from operating in the state under a 2008 initiative. Feb 02 · By Mitchelle Olumide Makanjuola · Share! PHOENIX -- Rejecting claims it's none of their business, a House panel voted to block public and charter schools from starting classes each year before Labor Day. The 5-2 vote by the Education Committee for HB 2303 came after arguments by Rep. Eddie Farnsworth, R-Gilbert, that the current practice by many schools of starting the year in August -- if not earlier -- is good for neither children nor taxpayers. With President Barack Obama proposing free community college in his State of the Union and proposed budget, a state lawmaker says Arizona should start laying the groundwork now. Jan 23 · By Mitchelle Olumide Makanjuola · Share! Driven by protests and demands from civil rights groups after the deaths of Michael Brown in Ferguson, Missouri, and Eric Garner in New York, several states are considering legislation to establish independent civilian or police review boards to look into cases of officer-involved shootings.